THE INSPECTOR CERTIFICATION PROGRAM was created by the Association for Challenge Course Technology and has continued to develop to address both national and international regulatory demands. ACCT offers two tracks for Certification: In-House Inspector and Third Party Professional Inspector. Certifications are valid for two years. Inspectors must present documentation of a minimum of 32 relevant continuing education hours every two years for renewal and re-take the written exam every four years for the level at which they seek to maintain certification. The In-House Inspector Certification (hereinafter known as the “In-House Inspector Certification”) is designed for those individuals who perform the Operator Operational Inspections for their own organizations as described in the ANSI-ACCT 03-2016 Standard, Chapter 1, Section B.1.3. (daily, monthly and quarterly in-house physical and operational inspections). An In-House inspector by definition is not a Professional Third Party Inspector. ACCT standards require an annual inspection by an outside qualified third party inspector. The Third-Party Professional Inspector Certification (hereinafter known as the “Professional Inspector Certification”) is designed for the individual working for a legally licensed business that is properly insured to offer professional inspections as described in the ANSI-ACCT 03-2016 Standard, Chapter 1, Section B.1.2. and Section C of the Qualified Course Professional (QCP)). All test applicants must provide proof of employment (via signed Supervisor’s Endorsement) and proper insurance (e.g. of appropriate level) for inspection services. This certification will not supersede any state or provincial law that requires third-party independent inspection, insurance requirements for such, or any de facto standard (ex. ISO that requires additional duties be performed or documented by inspection body). 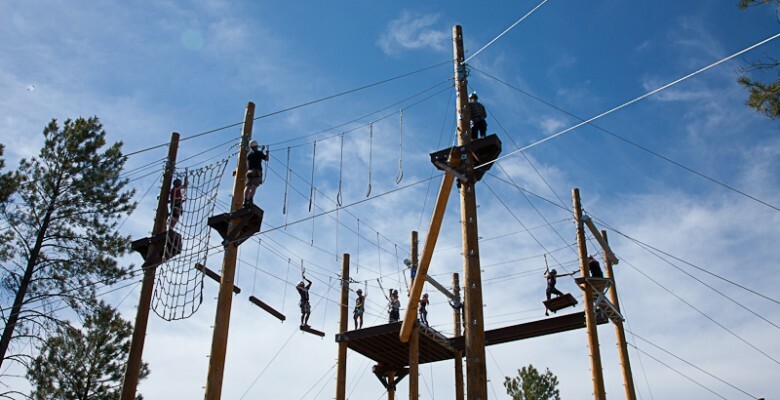 Minimum of 1,095 days of documented professional employment in the industry within the past 60 months, directly related to challenge courses, aerial adventure courses and /or zip lines or related structures; incorporating the aforementioned mechanical systems. The ACCT Inspector Certification written examination(s) consists of a core examination and specialty exams for the Level 2 and Supervisor Endorsements.